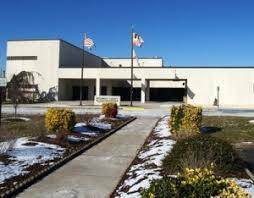 Wicomico County Department of Corrections is classified as medium custody jail located in the city of Salisbury, Maryland which has a population of 32,899 (as of 2016) residents. This county jail is located at 411 Naylor Mill Rd and is used by multiple jurisdictions for offenders who have short state sentences (usually less than one year), probation violators and those awaiting trial, sentencing or other court appearances and are waiting to post or are unable to meet the financial requirements for release. People may be moved into a county jail immediately after they are arrested, or may later be transferred to a county jail from a local holding cell or detention center. There is an average of 620 inmates currently serving time at this facility. Prisoners are housed in separate areas depending on the crimes they committed, their current risk assessment, and their behavior. This facility is currently under the supervision of Director George Kaloroumakis and houses male and female offenders.